Kevin Love has already missed over two weeks of play after fracturing a bone in his left hand in a Jan. 30 game against the Detroit Pistons. While he is projected to miss at least another month, the Cleveland Cavaliers big man is already thinking about his eventual return. 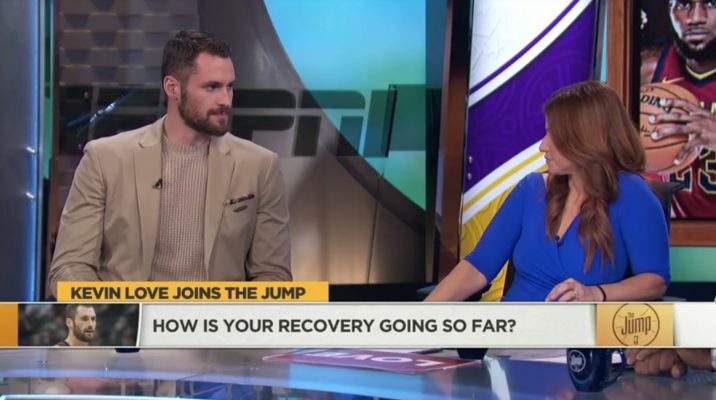 On Friday, Love joined ESPN’s “The Jump” to talk about his recovery, his team’s new additions, and how excited he is to join them on the court once he is healthy. “It was nice to see everybody back on the floor having that joy back,” Love said of his new teammates. “I think you saw that. George Hill started out the game and it was like he’s been with us all along. He’s a battle-tested guy, been through a number of playoff series, been through it being a savvy veteran. And then Rodney Hood, Jordan Clarkson, Larry Nance Jr. — I mean we just have a number of guys that come in make us younger, make us longer, and I think really add to our team. Once he returns, Love is sure to play a big role in the Cavs’ game plan. Before his injury, the UCLA product was having another All-Star caliber season, averaging 17.9 points and 9.4 rebounds per game. 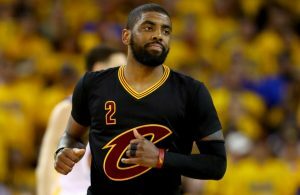 Love continued to describe how he expects to fit in with the new-look Cavs once he is finally ready to retake the court. “For me being my fourth year in Cleveland, I know exactly what the coaching staff wants from me, what Ty Lue (Tyronn Lue) wants from me,” Love said. 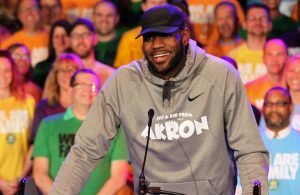 “And then from a player’s standpoint, LeBron (James) leading the push for us — what he wants from us out there on the floor. “We have a lot of selfless guys added, young guys who are playing extremely hard. I think you’ve seen that in the last two games in wins over Boston and OKC. So we just continue to keep playing hard. 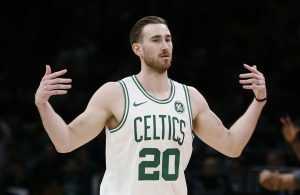 While it will take some time for Love to get comfortable playing with his new teammates, and vice versa, there is no doubt that he will add another dimension to this already exciting team. The only thing left to find out is just how far this team can go.